The Bats try to win their third straight, in their last road game of the 2018 season! TONIGHT'S GAME: The Louisville Bats and Indianapolis Indians meet tonight in what will be the Bats' final road game of the 2018 season. Last night, the Bats won in dramatic comeback fashion, winning 6-5 after trailing 5-4 heading into the ninth. It was LOU's second win this season when trailing after eight, previously occurring on August 24 vs. Indianapolis. Tonight, left-hander Juan Martinez makes his first career start in a Bats uniform as LOU looks to win its third game in a row. AGAINST INDIANAPOLIS: The Bats and Indians wrap up the 2018 season with a 4-game series, 2 at each team's ballpark. Tonight the clubs square off for the final time at Victory Field this season, before wrapping up 2018 with the final 2 games of the season at Louisville Slugger Field. Last night, LOU took a 9-8 advantage in the season series, outscoring the Indians 68-63 on the season. 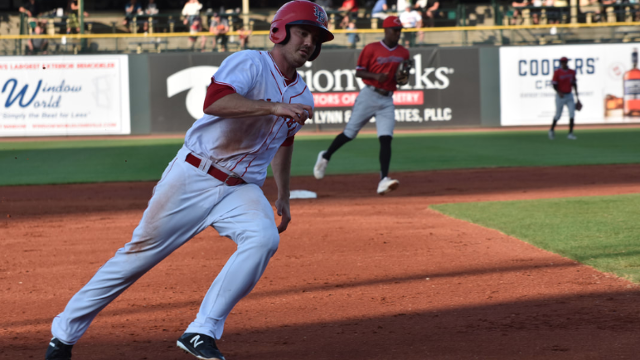 TRANSACTIONS: The Louisville Bats, in conjunction with the Cincinnati Reds, made several roster moves today on the first day of September, the date where Major League rosters expand. -LOU added both right-hander Wendolyn Bautista and infielder John Sansone to its roster today. Bautista made 4 appearances and 3 starts for Louisville last season, while Sansone is set to make his Triple-A debut tonight. -LOU lost a trio of players in corresponding moves: infielder Blake Trahan , right-hander Lucas Sims and right-hander Rookie Davis . Davis was only on LOU's roster one day. Trahan, who had his contract selected by Cincinnati, is set to make his MLB debut when he first appears in a game with the Redlegs. Sims is set to make his first Reds appearance since coming over in a trade from Atlanta on July 30. -Trahan leads the club with 129 games played this season, batting .245 (109-for-444) with 17 doubles, one triple, 2 homers, 31 RBI, 6 steals and a team-leading 49 walks. RHP Zack Weiss was released to make room on the 40-man roster. FINAL ROAD GAME: The Bats play their 67th and final road game of the 2018 season tonight after they had 3 road games cancelled earlier this season, 2 at Buffalo and one at Scranton/Wilkes-Barre. LOU owns a 29-37 road record, a tremendous mark after starting off a franchise-worst 5-20 before winning their first road series at Toledo from June 15-17, rattling off an impressive 24-17 in their last 41 road games. COMEBACK KIDS: Last night's exciting 6-5 victory was just the Bats' second win this season when trailing after eight innings. Down by a 5-4 score heading into the final inning, Steve Selsky led off the ninth with a double and scored on Josh VanMeter 's RBI single to tie the game. VanMeter scored on a throwing error made by IND shortstop Max Moroff , which allowed the game-winning run to cross. Kevin Quackenbush tossed a scoreless ninth for his 25th save of the season. OHH HERE HE COMES, HE'S A VANMETER: Leadoff hitter Josh VanMeter went 2-for-3 with 2 runs scored, an RBI and 2 walks, now hitting safely in 11 of his last 12 games. During those dozen games, he is batting .426 (20-for-47) with 7 multi-hit games, 12 runs scored and 14 RBI. His 12 extra-base hits (7 doubles, 2 triples, 3 home runs) lead the IL since August 19, with Gwinnett's Austin Riley (10) in second place. THE NOTORIOUS B. O'G: Left fielder/first baseman Brian O'Grady went 2-for-4 with an RBI and walk, extending his hitting streak to 9 games. Since joining Louisville on July 21, O'Grady is batting .318 (42-for-132) with 26 runs scored, 9 doubles, 2 triples, 7 home runs and 26 RBI in 39 games.